Pretty much say whatever you wnat and what not. I figured since most forums have one we should have one here as well. I guess this way we will not clutter up threads that are dedicated to meets or different topics here in the Nor Cal section, lmk what you guys think. Last edited by East Bay STi; 05-26-10 at 12:48 PM. that v-lim lip would look great on my car. i heard that gio got me a lip for my birthday. Is this true? Yeah, for both you and Billy. A FAT LIP , lol!!!!! Are you guys planning on going to Mt. Hammy this year? Car: Halp I has no boost! 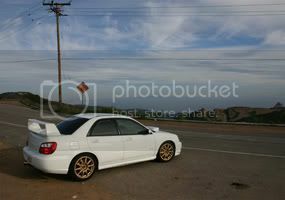 2004 WRX STi Stage 2 PT - Sold but not forgotten. anyone from santa clara/ san jose here?, im going to be studying mechanical/civil engineering there next year!